The 2017 Lucille Lortel Awards ceremony was held on the evening of May 7 at NYU's Skirball Center. Recent Hamilton star Taran Killam hosted the celebration of off-Broadway. J.T. Rogers' new play Oslo, which debuted at the Mitzi E. Newhouse Theater before its Broadway transfer to the Vivian Beaumont Theater, took home four Lortel Awards, including Outstanding Play. 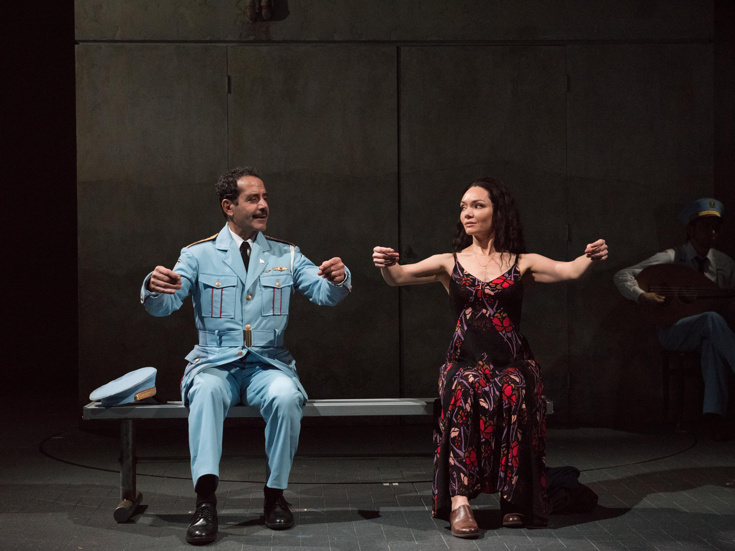 The new musical The Band's Visit, which made its world premiere with the Atlantic Theater Company, took home two awards, including Outstanding Musical. Dear Evan Hansen stars Ben Platt and Rachel Bay Jones took home acting awards for their performances in the show's off-Broadway debut with Second Stage. Adam Bock's play A Life, which debuted at Playwrights Horizons, also took home two awards, for scenic designer Laura Jellinek and sound designer Mikhail Fiksel. The full list of winners can be found below, noted in bold and preceded by an asterisk.